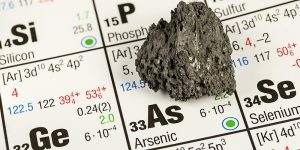 As reported by World Nuclear News, an international team led by the University of Sheffield has discovered that the toxic element arsenic prevents uranium from an abandoned mine in the UK migrating into rivers and groundwater. The discovery could help in the remediation of former uranium mines and other radioactively contaminated areas around the world, the scientists believe. 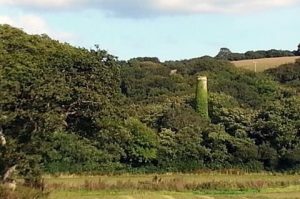 The team of scientists – led by the Department of Materials Science and Engineering at the University of Sheffield – studied the uranium and arsenic in the topsoil at the abandoned South Terras uranium mine in Cornwall, England. The researchers used some of the world’s brightest synchrotron X-ray microscopes – the Swiss Light Source and the USA’s National Synchrotron Light Source – to unearth what is believed to be the first example of arsenic controlling uranium migration in the environment. These microscopes use intense X-ray beams to focus on a spot just one-millionth of a metre in diameter. According to the study – published on 14 December in Nature Materials Degradation – ore extraction processes and natural weathering of rock at the South Terras mine has led to the proliferation of other elements during degradation, particularly arsenic and beryllium, which were found in significant concentrations. The arsenic and uranium were found to have formed the highly insoluble secondary mineral metazeunerite. “Significantly, our data indicate that metazeunerite and metatorbernite were found to occur in solid solution, which has not been previously observed at other uranium-contaminated sites where uranyl-micas are present,” the study says.